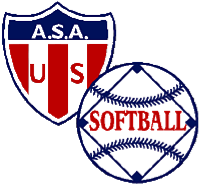 2013 held at Sunshine Park in Andover, Minnesota on August 16-18. 2013 held at Freedom Ridge in Ridgeland, Mississippi. Low Bobs came through the losers bracket and defeated Armed Forces two straight games, 10-4 and then 7-4 in the final game. Terri Ellingsworth was 3 for 3 with 3 runs scored in that last game. Jessi Griffin added 2 hits with 3 RBIs. 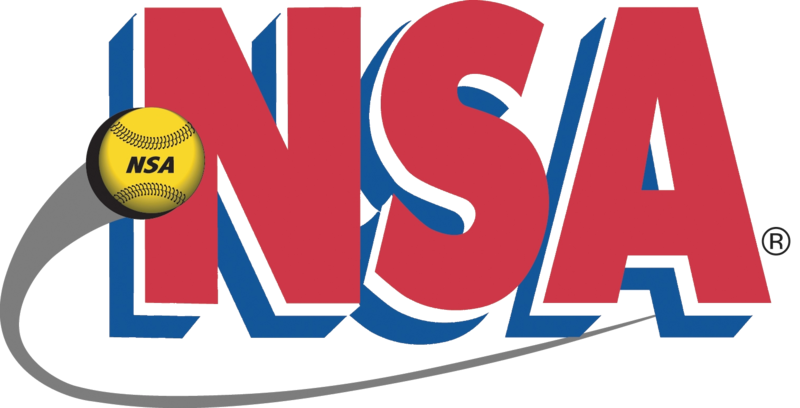 For the tournament, Griffin was 8-13 (.615) with8 RBIs, Annie Rardin of the legendary ASA Rardin Family, was 10-18 with 3 RBIs, and 7 Runs scored. 2013 held at Ridgeland, Mississippi on August 23-25. 2013 held at Kissimmee, Florida on August 16-18. 2013 held at Ridgeland, Mississippi on September 27-29. Hortenbach Auto/Easton claimed the first Super Slow Pitch title since 2003 as they blasted past Sonny’s in the Championship Game at the ASA Super Slow Pitch National Championship. Held at the historic Midway Stadium, H. Auto/Easton combined for 10 homeruns, including 3 from tournament MVP Brian Wegman, and 27 hits to defeat Sonny’s 29-14 in five innings. Sonny’s scored first after Jeremy Davis reached on a throwing error by the second baseman. Needing just eight runs in the bottom of the 5th inning to claim the run-rule victory, H. Auto/Easton did just that as they combined for two home runs and seven hits. After 2 runs had scored, Kevin Bazat banged out a 2-run double. Then with two runners on, Bryson Baker hit a 3-Run HR to clear the bases. With no outs and no runners on, Brian Wegman hit a solo shot to end the game after five, with H. Auto/Easton taking the 29-14 win. This marks the first time since 2003 that a Champion has been named in the Super Slow Pitch Division. 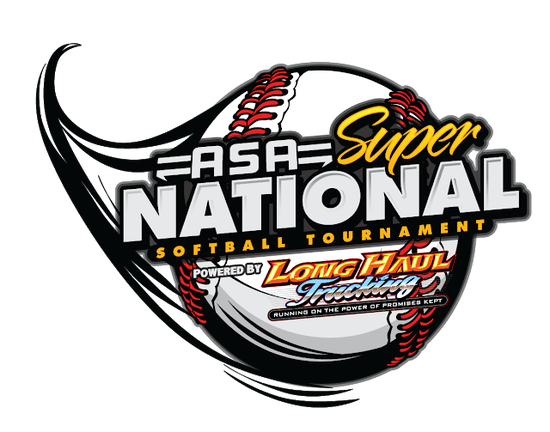 The first Men’s Super Slow Pitch National Championship took place in 1981 in Burlington, N.C., where Howard’s/ Western Steer of Denver, NC claimed the inaugural Championship and Hall of Fame member Rick “The Crusher” Scherr took home the MVP title. 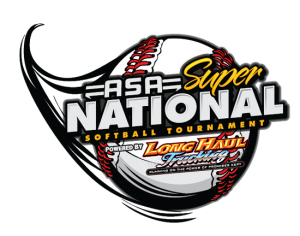 Throughout the 22-year existence of the Super division, 12 teams were crowned champions, with Ritch’s Superior (Windsor Locks, CT) and Steele’s Silver Bullets (Grafton, OH) leading the pack with 4 championships apiece. The Batting Champion was Donavan Prokraka of Rip City/DeMarini (.800). Dale Brundardt of RipCity/ DeMarini and Bryce Oliveira of Sonny’s shared the Home Run title with 7 HR. 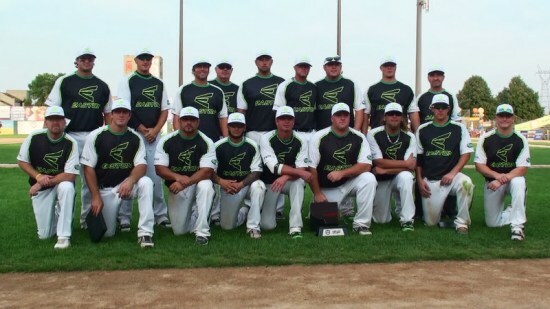 Hortenbach Auto had earlier sent Sonny’s into the losers bracket with a 22-20 win and then Sonny’s came back in the losers bracket final as a walk off home run secured Sonny’s a spot in the Championship Game as they came out with the 20-18 win over Rip City/DeMarini. Trailing by six as they came to bat in the bottom of the 7th, costly errors by the Rip City defense and 2 HRs by Sonny’s set up the championship game.